The dining scene in New York City never ceases to amaze me. 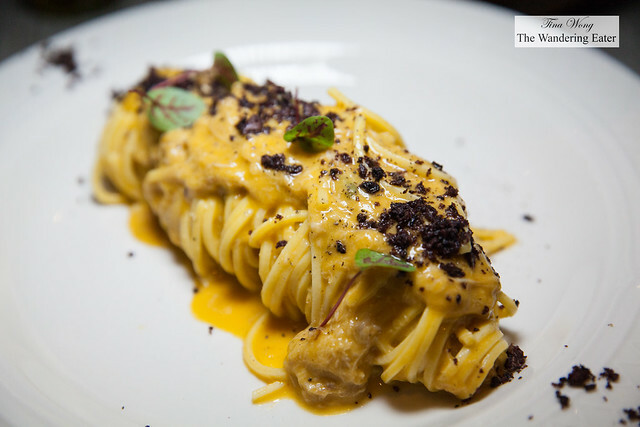 It’s a city rife of Italian restaurants some are by big celebrity chefs that are great (and sometimes carry a hefty price tag to go along with it) and mediocre restaurants that you wouldn’t care to return to. However, there are a few hidden gems like San Carlo Osteria Piemonte that recently and quietly celebrated its one-year anniversary. 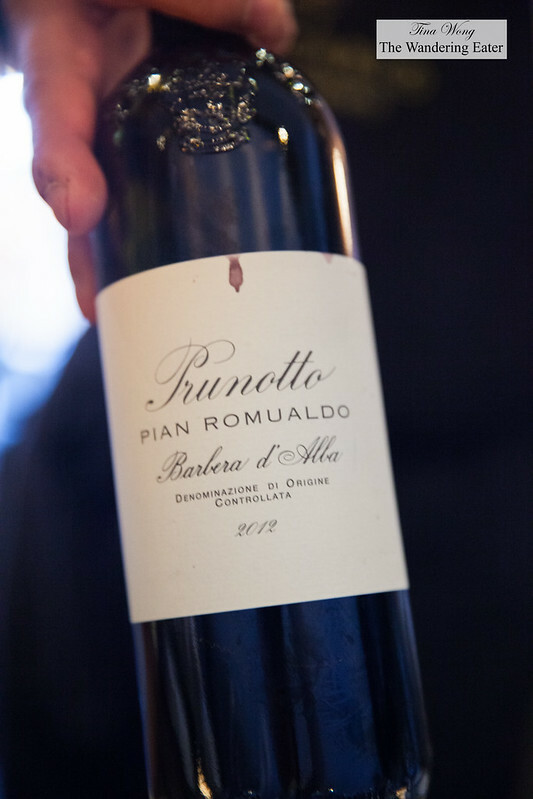 This Italian restaurant is not the typical Italian joint that tries to cover all the bases of Italian cuisine — it focuses in the Piedmont region of northern Italy, which is a rare cuisine to come across here. 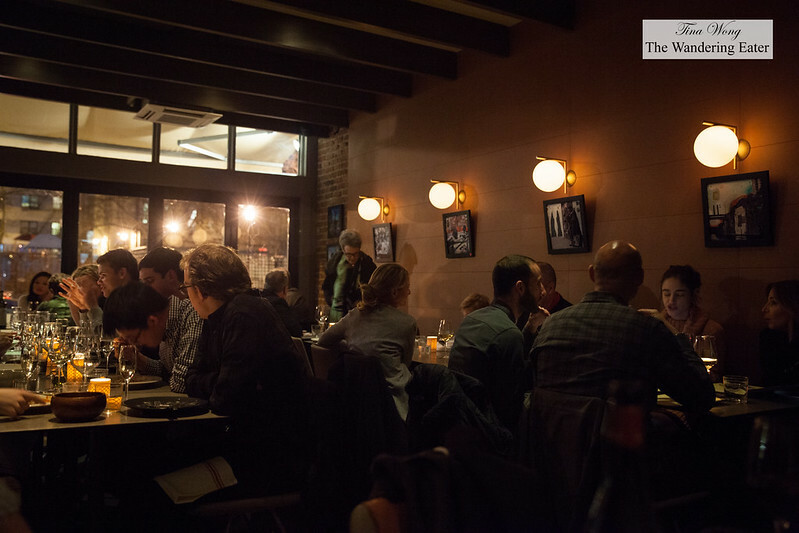 The fifty-seat eatery has subtle nods of its homeland, the northwestern region of Italy that borders France and Switzerland. The dining room has a large mural depicting Turin’s Piazza San Carlo — the inspiration for the restaurant’s name. 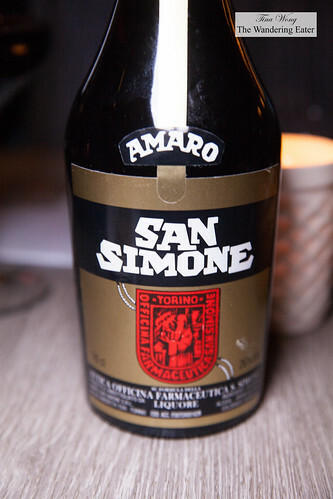 My amaro loving friend was curious to have the San Simone amaro because we were informed it’s not exported outside Italy. It’s such a beautiful sweet and bitter spirit that has lovely anise and other herbaceous flavors and while it’s similar to the amaros found in the U.S., it feels and tastes better and much more balanced on the palate. 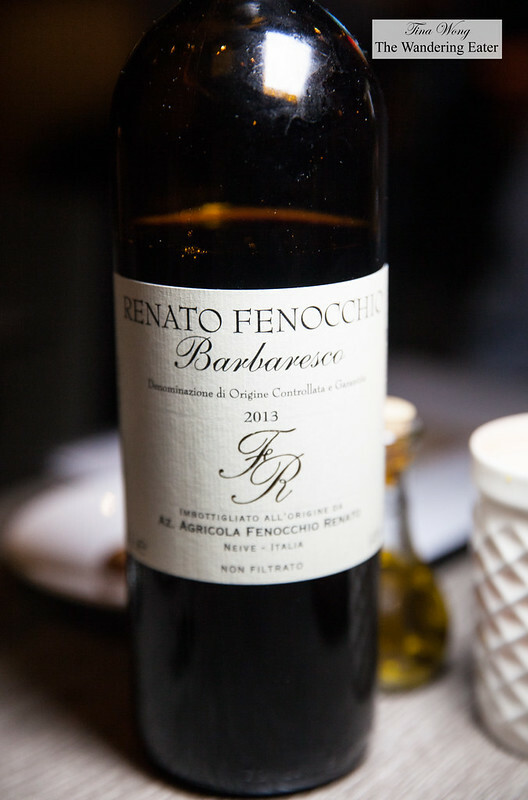 I opted for the Prunotto Barbera 2013, an intense fruity wine with notes of cherry and plums. It’s fresh on the palate and it’s quite dry. 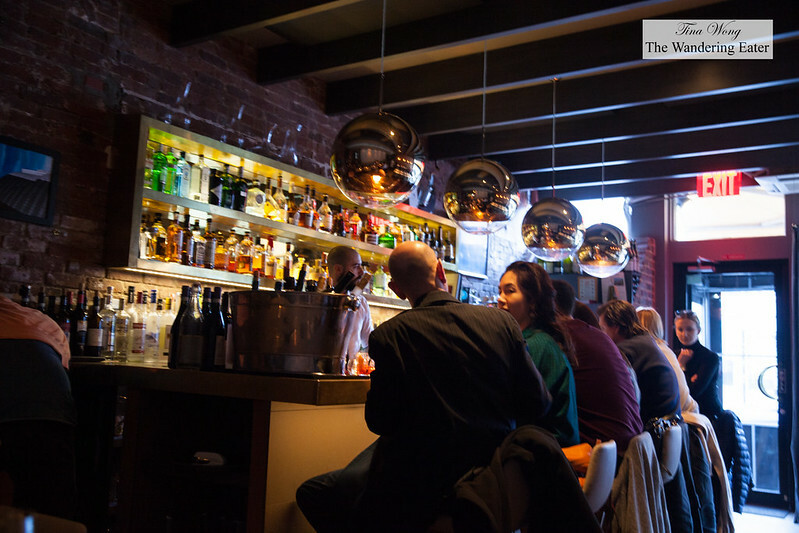 What is interesting for us to learn about Piedmont food is the fact there is a lot of rabbit (or game meats, in general) that is used in their cooking and this restaurant is not shy about cooking and serving a bunny — and I appreciate that. We started with the “tonno” di coniglio, rabbit marinated in olive oil that’s simply served in a Weck jar with colorful pickled vegetables on the side. The unfussy presentation really makes you focus on how delicious these two items on the plate and it really shines. 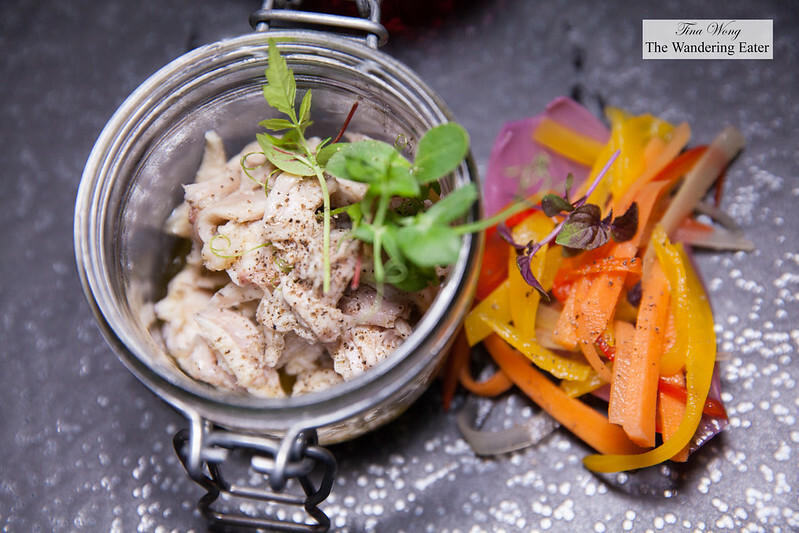 The tender rabbit is delicate and beautifully cooked and the pickled carrots were sour enough to contrast the relatively sweet meat. The seared scallops, broccoli rabe puree topped with crispy leeks were delicious. 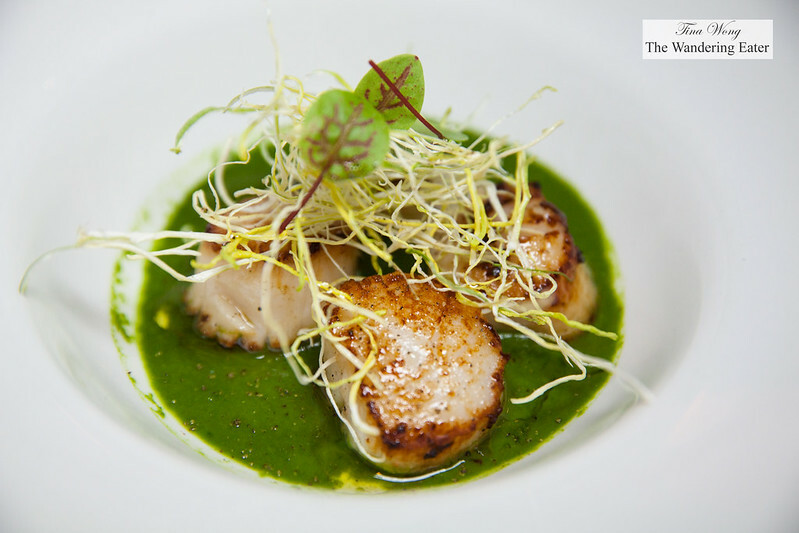 What really surprised us that the broccoli rabe purée sauce works with the scallops. The both pasta dishes we had were excellent. My dining companion and I had plenty of bowls of pasta and both of us were completely blown away how good these pastas were. The homemade angel hair pasta with rabbit ragu topped with crushed, dry black olives was very tasty. The delicate flavors of the rabbit and the light texture of the angel hair pasta were perfect pairings that it just melds in the mouth. The black olives added a gentle touch of brine but did not detract the melody of flavors of the dish. The “Cavalier Cocco” paccheri pasta with Maine lobster, cherry tomatoes, and basil. This beautiful bowl of pasta was sublime. 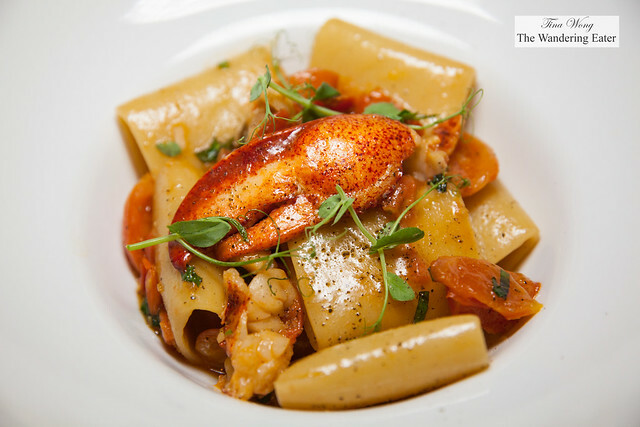 The slightly chewy, al dente paccheri pasta was flavored with a robust lobster and tomato flavored sauce despite the fact it’s barely dressed. 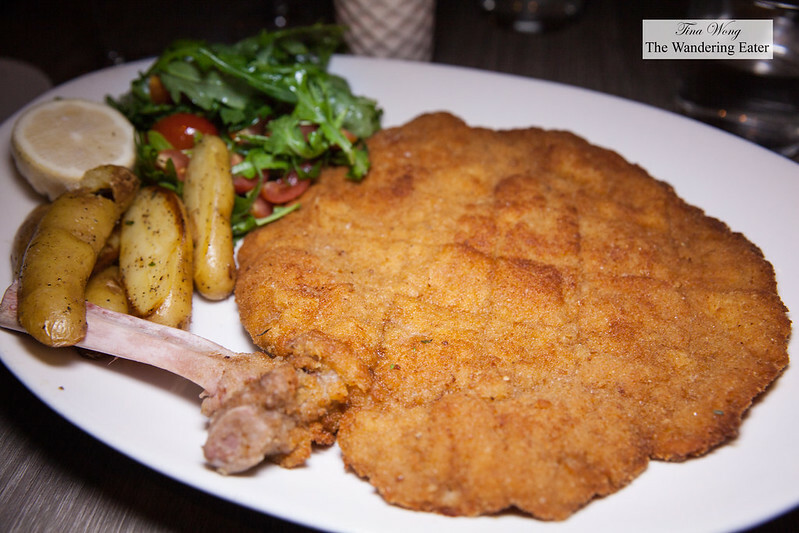 Our secondi main courses, we opted for pan seared rack of lamb and the bone-in Piedemonte-raised veal Milanese. The lamb was well seasoned, beautifully cooked to a medium-rare and incredibly tender and the almond mint sauce made with the lamb’s jus was delicious. 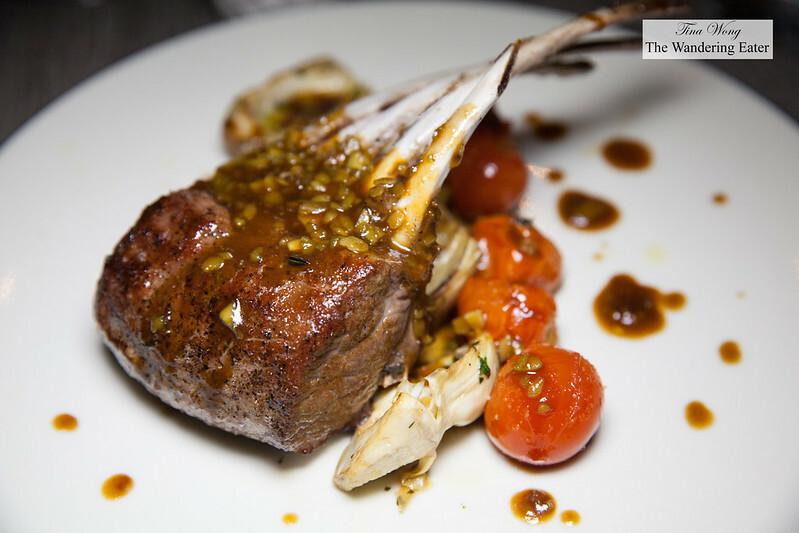 The accompaniments of sauteed artichoke and roasted cherry tomatoes were fine pairings with the meat. The bone-in Piedemonte-raised veal Milanese is a classic dish of thinly pounded, tender veal with a side of fresh tomato and arugula salad and roasted fingerling potatoes. The wedge of lemon helps when it comes to eating this dish since it’s a lot of meat and it can get heavy so having a bites fused with the bright lemon juice and the tomato and arugula salad helps. The potatoes were perfectly roasted and seasoned. 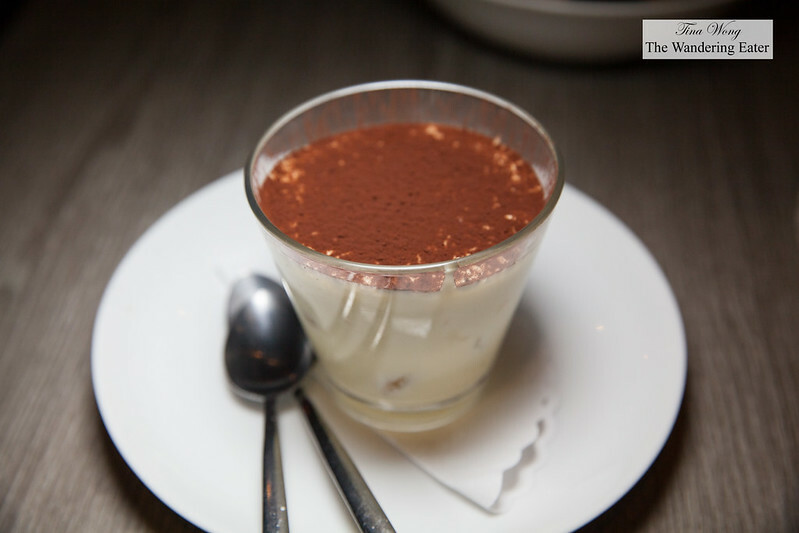 If you’re in the mood for dessert, we were informed that they have a traditional Piedmontese pudding called bönet. Bönet is a firm, smooth and creamy amaretto pudding flavored with chocolate and caramel. 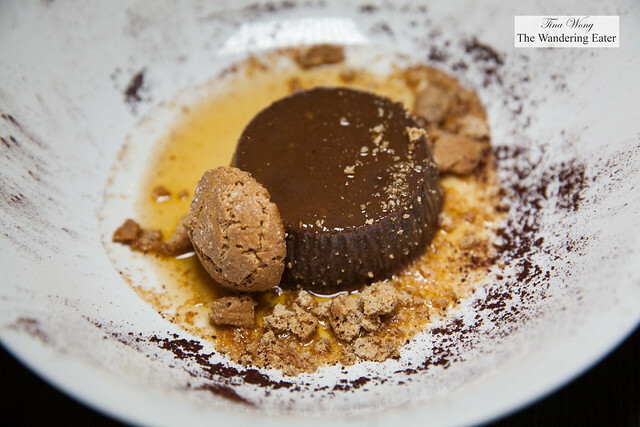 The texture is comparable to flan but it’s a lot more flavors going on and it helps to have the splash of amaretto and whole and crumbled amaretti cookies for texture. 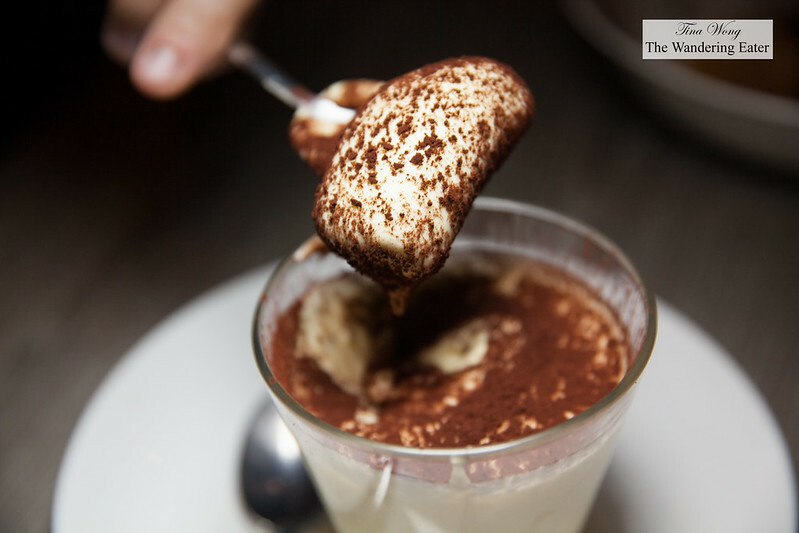 Their tiramisu is a lovely version and it has great flavors of coffee, rum and mascarpone. It’s light, fluffy and not too sweet. The only issue I have with this tiramisu is how the kitchen kept the ladyfingers whole; it feels a little unwieldy to use the small dessert spoon and dig out that whole cookie along with the custard. We had a wonderful time dining here. 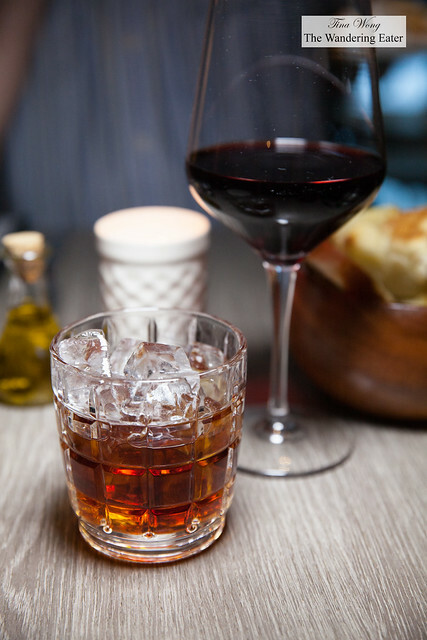 The atmosphere is pretty unique here seeing Italian expats and traveling Italian businessmen here for drinks or for dinner then juxtaposing non-Italian New Yorkers dining here as well is an interesting mix to see and overhear. The food is fantastic (I’m still dreaming of the pasta dishes!). The service is efficient, professional and friendly. I’ll definitely be coming back.